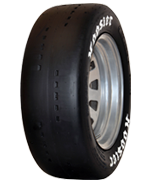 Hoosier Racing Tire has been producing circuit racing tires since 1984. During that time, Hoosier has become the largest supplier of domestic circuit racing tires. Hoosier Tire has been the winning point of contact on every active permanent circuit in the U.S. With the ongoing success, our legacy continues to expand reaching into more and more points in the global racing tire markets.